This article may confuse you if you are one of our clients who already has a private flood insurance policy. We have been writing private flood policies where it makes sense since 2012, with very few hiccups. However, we have seen a handful of situations where a mortgage companies have forced our clients to buy a National Flood Insurance Program (NFIP) flood policy. This has usually been in situations when it is an FHA loan or another type of government loan. After July 1, 2019 all lenders will be required to accept private flood insurance to satisfy coverage requirements. Let’s take a step back to give you a bit more background… For quite a few years the National Flood Insurance Program (NFIP) flood policy was your only option if you wanted (or were forced to buy) flood insurance. This is because private insurance companies would not offer flood insurance. They saw it as a losing proposition. Floods have a tendency to happen in the same areas over and over, and the damage it causes is often catastrophic in nature. This makes damage from flood very difficult to insure. This is also why the federal government entered the picture and created the NFIP in 1968. The NFIP began offering flood insurance at a fraction of what it should cost if they wanted to make a profit. Insurance companies administer these policies. Local agents like us offer them to consumers, provide advice, etc. Premiums paid for losses and the program ran a bit under the radar for quite a few years until the mid 2000’s. Then a few big, high profile storms (e.g. Katrina, Rita and Sandy) caused some enormous losses. These losses have put the NFIP in serious debt, or under water (sorry I couldn’t resist). This resulted in congress making quite a few changes to the Federal Flood program, starting with the Biggert-Waters Flood Insurance Reform Act of 2012. Among other things, Biggert-Waters allowed for private flood insurance and increased flood premiums dramatically to help pay for losses. At the same time the insurance industry also benefited from quite a bit of innovation. 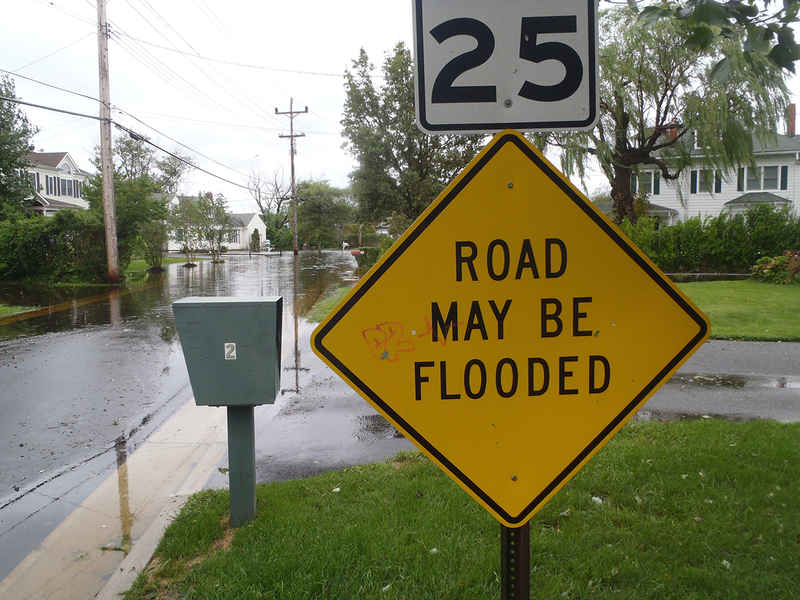 This prompted private insurance companies to see an opportunity and offer flood insurance. Now, we still write quite a few NFIP flood policies because private flood insurance does not make sense for everyone. There are many considerations when determining whether a client should go with a private flood policy – or stick with the NFIP flood policy. Also, as I mentioned above, some mortgage companies have misinterpreted the Biggert-Waters Flood Insurance Reform Act of 2012 and required NFIP policies in certain situations.